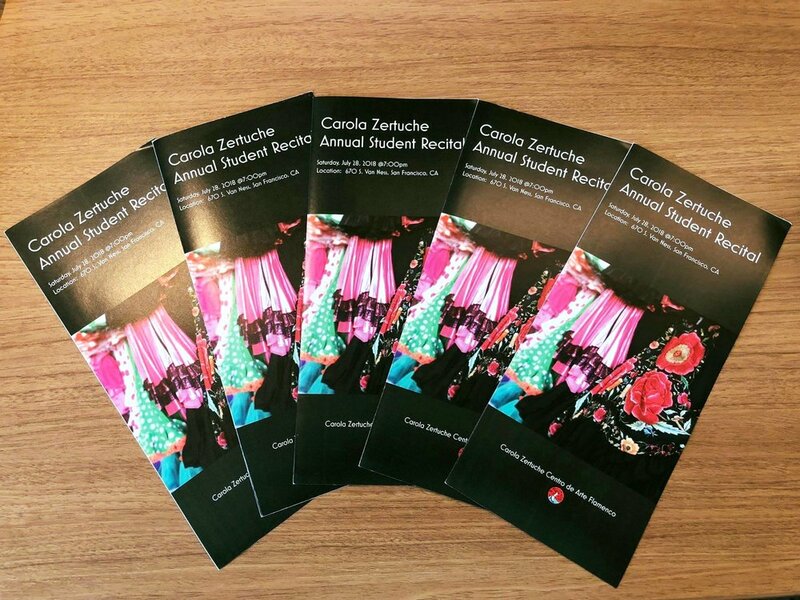 Our artistic director, Carola Zertuche offers flamenco dance classes for all ages and all levels - from Children to Adult and New Beginner to Semi Professional Levels. She also offers private lessons. Our dance studio is located at the most convenient location in Mission, San Francisco - close to Bart and Downtown SF, Freeway 101 & 280, and popular cafe and restaurants! All Choreographies are Annual Student Recital Repertoires. Please fill out a student registration below form and read our school policy before you register. Please fill out a student registration form before your first class.